Chimneys are made of Heat Resistant Borosilicate Glass and are used to put on the Diyas to protect the Jyoti ( Flame ) from Wind. A must product for all worshipers. 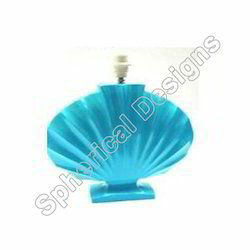 Shell design hanging lamp available in various sized and colors. 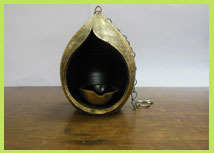 A beautiful ceramic shell shaped diffuser lamp sizing approx. 6.5 inches. Available in white, beige, yellow and in other colours on demand. Make your living room look beautiful.with corals, shells ...get the sea home. Ideal for gifting.